Although paying by check is not as common as it once was, it’s a financial practice that is likely to have long-term value in the economic scheme of things, according to the Check Payment Systems Association. And their prime role is to promote and protect what is referred to as the “paper-based” payment system. The non-profit organization has been involved since 1952 in assuring that using personal checks and business checks will remain a viable option for individuals and businesses. It is dedicated to the integrity, security and convenience of checks. It has been at the forefront of developing safeguards that are built right into the checks you use. Its advice has been incorporated into check-printing practices for ValueChecks.net main check printing partners. One of CPSA’s most valuable contributions has been in developing strategies that thwart criminals bent on check fraud. In 1994 the association created a set of guidelines intended to prevent the production of counterfeit checks. The guidelines are voluntary, but have been applied by the majority of check-printing companies in North America. Would-be counterfeiters have been significantly stymied in attempting to use computer scanners, laser printers or photocopiers to produce fake checks. Key to the effort is the Padlock Icon, touted as CPSA’s greatest contribution to the fight against check fraud. The small symbol appears on the front and back of personal and business checks that were designed with at least three safety features. Those who routinely accept checks recognize the Padlock as evidence that the checks are protected by production safety steps. Only CPSA can legally grant the right to use of the Padlock on checks. 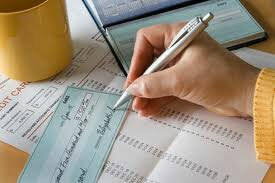 The association’s website lists authorized users, such as those check companies who print checks for Valuechecks.net. CPSA partners with the American National Standards Institute to study issues surrounding the use of checks. It also does research to assist members with development of products and services. It’s influence is recognized and respected in Washington D.C. as federal government agencies consider these issues. Lawmakers whose business is to protect citizens make use of the information generated by CPSA researchers. Beneficiaries of the efforts being made by such organizations are those at the end of the chain — the individuals and companies that continue to make writing checks their standard for doing business.